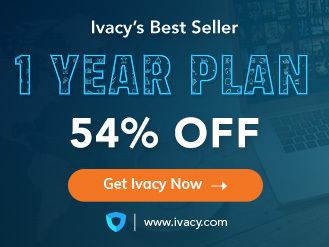 Who doesn’t enjoy Netflix? So what if we were to tell you that Netflix is the reason that internet downstream is down by 15%? Well, that is true because according to a study, it is the single most bandwidth-consuming application in the world today, and that’s saying something! 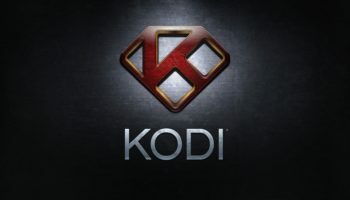 The study was published in the Global Internet Phenomena Report by Sandvine which happens to carry out vendor management for bandwidth-management systems. In second place is HTTP media streams which contribute to 13.1% in the worldwide internet downstream followed by YouTube which is at 11.4%. Web browsing and MPEG transport streams came afterward with downstream traffic contribution of 7.8% and 4.4% respectively. 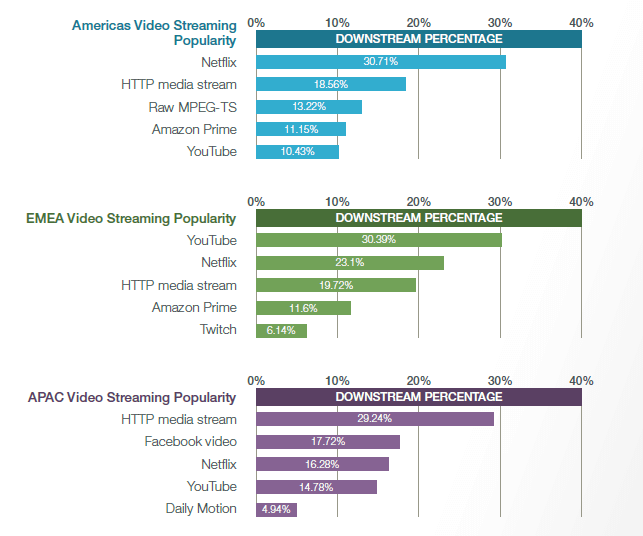 In the US alone, Netflix is the reason for 19.1% of the overall downstream traffic. Who knew, right? Streaming content online without a VPN can get you a DMCA notice. 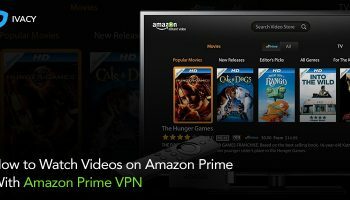 Use Netflix VPN to stay anonymous. It was also deduced that Amazon Prime consumes higher bandwidth in the USA than YouTube. Surprised? Moreover, during the prime time or peak hours when it is time to relax and unwind, US audiences’ reliance on Netflix is even higher i.e. leading up to 40% in the downstream traffic (as per some wireline networks operating in the region). 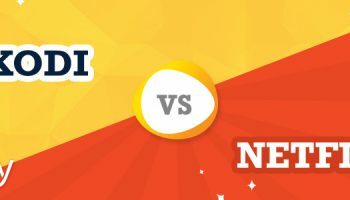 Apart from the heavy share, it has in the internet downstream traffic domain, Netflix’s video encoding is far superior to any of its counterparts in the streaming business. That is where Netflix takes the cake! 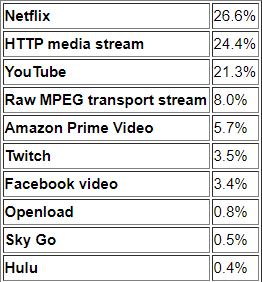 If we talk only talk about the video category, out of 57.7% of the total video downstream traffic, Netflix has a share of 26.6% as a whole on the internet. Additionally, we leave you to marvel at the stats below for different regions. 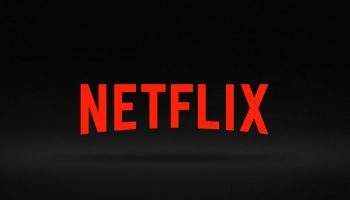 One thing is for certain that Netflix footprint is a force of nature and the worldwide catchphrase “Netflix and Chill” is not going anywhere, anytime soon so it is imperative that you buckle up and watch the streaming giant throttling free with Netflix VPN.